Cornerstone Business Solutions, LLC | There's No Place Like Home! Cornerstone Business Solutions partnered with Arise Virtual Solutions, Inc with the goal to assist people from all walks of life to experience the freedom of working from home as an Independent Contractor. Cornerstone has been awarded as a Premier Partner within Arises’ approved network of vendors, making us one of the most trusted and valued out of hundreds of other IBO’s. We have shown that our CSP’s are top performing, dedicated and highly professional in providing services from their home office. Wether you are a student, stay-at-home Mom or Dad or Military, Veteran or the spouse of a Military hero you can utilize your professional background and obtain certification to reach your goals working from home. Those that need the opportunity to obtain experience for building those outstanding resumes, we will assist you in building a foundation for your career and future! The CEO, Makiba Simmons -Ahearn, is a mother, wife, business owner, performer, and has over 20 years experience in HR, supporting executive levels of management and Customer service. She as been successful in home schooling, managing the home front and has a disability all while maintaining the opportunity to work from home! And she wants to share how she does it with you. Working from home provides flexibility, autonomy and more time to spend with family for this CEO. The opportunities and benefits to work from home for major companies can not be offered by your regular brick and mortar , 9-5 job! Arise offers an amazing opportunity to partner with Cornerstone and provide the best and top performing Client Service Providers! They’re a company that provides our clients (wide variety of corporations in the U.S., Canada and UK) with round-the-clock customer service, sales or technical support through a network of independent incorporated business partners supplying in the aggregate over 25,000 certified Client Support Professionals (CSPs).Cornerstone Business Solutions is the ultimate experience in working from home. We are a legitimate, Premier Partner with Arise, and a nationwide virtual calling center that specializes in quality customer service for Fortune 500 and 1000 companies. Providing you the opportunity of creating a flexible schedule, your own hours, savings, reduction in commuting and gas expenses and the most priceless of them all, spending time with your loved ones….allowing for a little more balance. This is our main focus for you. Empathy for the changes in the business world that may evolve and providing you a solution that works. We bring the office to you. Our Certified Client Service Providers are afforded the opportunity to work in their own virtual space, successfully, while maintaining the home front. Why? Cause there’s No Place Like Home! We work with students, Military, veterans, stay-at-home moms/dads and those who want to be a part of growing virtual trend. We want to promote honesty and trust, complimented by your dedication and hard work to maintain a healthy working relationship. Cornerstone means support and we should uphold each other to these standards to ensure success. 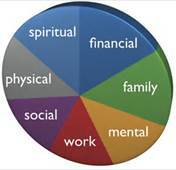 YOU CHOOSE YOUR CLIENTS AND SCHEDULES!! NO COLD, DEBT OR TELEMARKETING CALLS!! $9 – $16 PER HOUR!! SAVE FOR THAT NEXT VACATION, CAR, OR ANY IMPORTANT GOALS IN YOUR NEAR FUTURE. PARTNER WITH US AND DONT WORRY WHERE THAT NEXT DOLLAR IS COMING FROM! I am very interested in becoming a member of your team and I know I will become a valuable assent within your company. I have social media and marketing experience, I am a customer service specialist, I can easily build rapport with others, I am a born conflict resolution specialist and I know how to handle difficult situations, as well as delicate issues. I can be tough, but it isn’t something I strive for. I would rather give credit where credit is due and I can ensure that I can live up to the expectations of the establishment. I am very curious to see how my training and adaptation to numerous fields will benefit the company and have the opportunity to show what I’m capable of. Thank you for the opportunity, truly. Hi, I am interested in your company I am signing up for Arise and would like to know more about the positions your hiring for. This sounds like a rewarding and exciting opportunity to broaden my horizons and further my career. Thank you for your consideration. Angela cant wait to speak with you! I selected your company on the arise registration site. I would love to know more about career opportunities. I am an ex financial insurance person and MBA. I moved upcounty last year so I took a H S teaching position. I would like to interview but I can’t get to your office until 4:00. Your “rep” said 10:30 tomorrow or you are not interested. I can forwards her emails. Are you only hiring unemployed EE’s? I would absolutely love to apply for a position with your company.I have an impeccable resume as I have been in HR/PR for approx 18yrs as well as President of GMF Home Improvements LLC. Hello Gloria! We look forward to talking with you soon! Could you please tell me what your pay period processing fees are? Looking forward to hearing back from you! A past associate told me to contact you personally… I wanted some information, to start a second job..
Hi Michelle! Were you able to get an appointment with us? I am interested in partnering with you. How do I get started. I am very interested. How do I get started? Call me if Cornerstone has any opportunities coming up or going on that I can partner up with now. My cell 602 4736094. Darren please look on the Arise portal for available opportunities. We have sent emails to you to show you how tobget started. We always have opportunities you have to get going with setting up your profile. I’m interested in working from home. Hi I am actually working for arise right now and I am interested in data entry please tell me what I need to do to get with you. Hi Makiba. I registered with another IBO but I have not picked a client yet. I am interested in your company and wanted to know would I be able to choose yours instead? Hi Renea! You should be able to drop yourself if you haven’t expressed interest in another client. Hi, I have gone through Arise’s process, and I’m now looking for someone to work for. I’d like to get more information on your company, and the job openings you might have. Please contact me at your earliest convenience. Please schedule atime to speak with us through our link on the left. I would like to know how to apply please.. I am now ready to start servicing customer service needs. Please reactivate my Arise Portal so I can do so. If you have any questions or concerns please feel free to contact me. Hello I am interested in working for your company. I just wanted to know if your hiring and if so please contact me at your earliest convenience. Thanks in advance. Hello my name is Eric and I am very interested in working with this company. I have completed my information on Arise and I would like to know if you are hiring. Please contact me, thanks. Good day, I am interested in learning more about your company. Does your business allow international people to work for you? As I am Bermudian. Thanks, will await your response. Hi Natasha! Good to see a Bermudian has been able to find my page and business. I am Bermudian as well, however I reside in the states and you may have obtained my information on social media. Unfortunately we do not contract internationally at this time. If you are a student in the US or have a workers permit and SSN and are able to provide services from any of the approved states to work from home for my company, we will be happy to get your started. If this is your situation and you would like to know more please feel free to set an appointment with me. I just filled out my application and I hope to hear from you soon. I would like to know more about your company and see if there is a career opportunity for me. I would like to know about your company’s opportunities and if you are accepting new applications. Hello I am interested in working with your company through the arise network can you please verify if you are currently hiring at the moment please? Good afternoon, I am interested in hearing more information about your virtual agent positions. Hi, I sent out a request on Arise to join your independent business. I’m just waiting on a response back, also I would like to get a little more information about what type of jobs are available. Hello ms McCoy! We have sent you an email from cbsllc@vsmanager.com to set up a meet and greet with us. We look to speaking with you soon. I missed most of the live meeting cause of difficulties with trying to download the app. Will the next live meeting be on the same topic or a different topic ? And how do i get started with the company ? I filled out the application with arise and picked cornerstone as the business I wanted to work for. I am not to sure what else to do at this point. Hello Danielle!! Please set a meet and greet with us by filling out the application on the left. Hello, I am very interested in working from home. I joined Arise but don’t have a company to work with under them. Please help, thank you. Hello Stephanie! Once you fill out the application on the left, set up a meet and greet appointment and enter in our IB ID 57082 we can get you started! I have select your company as my Independent Busi ess Information through Arise. Upin trying to proceed it states confirmation is needed to view the waiver agreements. Can you please assist me in the next process as well as which clients you have available to select from? Hello Jaclyn! you ahve been approved. Please set a time to call me I would love to speak with you. I would like some information please, on opportunity with your company. Good evening, I would like some information on the oppurtunities that you have available with your company. How would I be able to set up a possible phone interview? Hello Diandra, we would be happy to speak with you. Please call us or set up a time to talk with our scheduling link on the left. I Live in Maryland and there is a Customer Service Cord. position, the description does not state where this job is. Is this a work from home position? Your site clearly states that Certified Client Service providers positions are not offered in Maryland. I would like some information on this job please. I am very interested in doing this. Just broke. Any way to waive this fee. Hi John! Please call me tomorrow or Monday so I can talk with you please. Hi Kim! Please apply and click on the application on the left.